Chicago’s Memorial Day weekend got a brutal start with 23 people shot and four killed from Friday afternoon to Saturday evening. And there are still two more days of the long holiday weekend to go. Officials hastened to note that the numbers for the first hours of the three-day holiday weekend are on par with last year’s bloodletting, Chicago’s WGN TV reported. But even as the statistics seem familiar, the carnage is happening amidst a major police offensive with the Chicago Police Department (CPD) sending 1,000 officers into the streets to tamp down the violence. The CPD has also welcomed the assistance of the FBI and even the ATF both of which have sent agents into the field with CPD Superintendent Eddie Johnson’s forces. This combined task force has arrested 100 people and confiscated nearly 50 guns since May 24, authorities say. Police have also stepped up a presence around the city’s biggest tourist attractions. Places such as the famed “Magnificent Mile” shopping section of Michigan Avenue, Navy Pier, the city’s beaches, and other hotspots are seeing more police patrols. So far, 846 people have been wounded in the Windy City and 164 killed, 43 in May alone, for a total of 1010 shot. There have been another 34 murdered by other means. However, the city’s murder rate has trended down so far this year compared to the last two years. By May of 2016, there had been 262 murders and last year 256. This year has seen 208 homicides thus far. 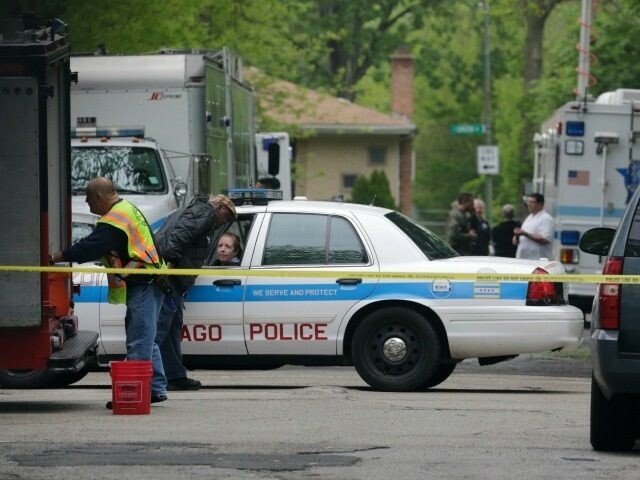 Despite the downward trend, Chicago is still one of the most violent cities in the country.